With all the worry about global warming, electric vehicles could play a significant role in combating carbon dioxide emissions and hence help combat the warming that is plaguing the planet. Despite these obvious benefits, EV have not taken off in a big way be it locally or globally possibly due to the fact the common perception is that they don’t offer substantial monetary benefits and that there is insufficient infrastructure to support a complete switch to EVs. The passenger vehicle segment in India has shown significant growth over the past few years. Since 2004, sales in this sector have grown significantly, with estimates putting the compounded annual growth rate at about 13.15%. 2010-11 for instance showed a significant increase in growth, with numbers indicating that the sales peaked and showed year on year growth of about 30%. With electric vehicles being primarily targeted at the passenger vehicle segment, these numbers are heartening. With the growing interest in a cleaner lifestyle and a booming medium to high income population, EV manufacturers can see substantial sales figures if the market is properly monetized. Almost all vehicles on the road today are powered by fossil fuels. These vehicles use what is known as an internal combustion engine to burn the fossil fuel thus generating the required energy to power the vehicle. EVs, though similar to traditional vehicles, use a different source of energy – electricity. The difference in choice of energy source means that the vehicles use different components. This device converts the electrical energy stored in a battery to mechanical energy thus propelling the vehicle forward (or back). Depending on the type of electricity that is supplied to the motor, one of two types of motors are used – AC (Alternating Current) motors or DC (Direct Current) motors. The function of a generator is exactly the opposite of that of a motor – it converts mechanical energy to electrical energy. In some vehicles the two functions – that of a motor and the generator is combined into a single device known as motor-generator. Battery packs invariably supply DC current. In order to use an AC motor in an EV, it should be coupled with the battery pack using an inverter. The function of the inverter is to convert the DC current produced by the battery to AC current which can be used by the motor. A charger works in conjunction with a generator. It aids in converting the AC electrical output produced by a generator into DC so as to help charge the battery pack. These devices are usually fitted with a control mechanism known as a charge controller to optimize the charging process so as to prolong the life of the battery. Battery packs store the energy that is required to power an EV. The variants of electric vehicles use different types of battery packs (lead acid, NiMH, Li-ion). Of these systems though, the Li-ion battery pack is the one that is gaining the most momentum and is likely to be the dominant battery pack in all future EVs. Battery packs attribute heavily to the significant price differential seen between normal vehicles and EVs. As the name suggests, HEVs are a combination of traditional fossil fuel powered vehicles and electric vehicles. HEVs use batteries to boost the fuel efficiency of a car that still has a fossil fuel powered engine. The batteries in these vehicles are recharged while the vehicle is moving (under the influence of the fossil fuel powered engine). They may also employ Kinetic Energy Recovery Systems (KERS) or regenerative braking systems to capture and store energy generated while braking. These vehicles use nickel metal hydride batteries (NiMH) which are significantly cheaper than Li-ion batteries. These vehicles are fully powered by electricity and electricity alone. They have large battery packs, electric motors, inverters etc. to accomplish this. These vehicles not only charge their batteries by being driven but also require the user to plug the vehicle into a charging station or standard outlet to ensure that the battery packs always remain full. As opposed to the hybrid electric vehicles, these vehicles use Lithium ion battery packs. These batteries are significantly more expensive when compared with the others, but offer the best performance. A charge sustaining mode, where after the battery has reached the specified depth of discharge (DoD) level, the vehicle is essentially run on the fossil fuel power while maintaining its battery pack in a constant state of charge. MNRE has announced that they would offer up to 20% financial incentive on the ex-factory price of electric cars and scooters sold in the country. The scheme has set a maximum limit on the amount of the incentive at Rs. 4000 for lowspeed electric two wheelers, Rs. 5000 for high- speed electric two wheelers and Rs.1 lakh for an electric car. The price of the only EV available in India – the REVA electric car is between Rs. 3.3 lakhs and Rs. 4.3 lakhs. This translates to a rebate in the range of Rs. 66000 and Rs. 85000. The scheme will be operational for the remaining part of the current fiscal 2010-11 and will continue in the next fiscal also. The fund will be used for providing infrastructure support and also setting up research and development centres for electric and hybrid vehicles. The scheme lays down stringent criteria for registration to ensure that only genuine manufacturers are given the benefits. 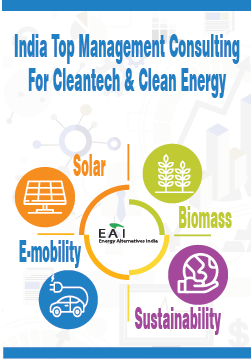 In addition to this, it was announced in January 2012 that ministry of heavy industry is seeking a Rs.6,000 crore incentive package in the forthcoming Union Budget to boost the manufacturing of electric and hybrid cars and two-wheelers in India. It has also been proposed that there would be further customs/excise duty reduction (which currently stands at 5%) for lithium ion batteries and other parts which are to be used in the manufacture of EVs. The government has also announced the setting up of a National Mission for Hybrid and Electric Vehicles to encourage manufacture and sale of these vehicles. As can be seen, with increase in the price of oil, the payback period decreases. Further, if the price of oil were to remain constant, then the total miles driven would become the biggest factor contributing to early payback. The expected scenario is that the oil prices would rise steadily (as seen over the past few years) while manufacturers tend to develop more robust vehicles that offer higher driving ranges – well past 200,000 miles. Research suggests that in such scenarios, the additional cost of an EV can be paid back in as little as three years. There is virtually no competition in this segment in India as the sector is still very nascent. Currently, there is only one EV that has under production and sale and that is the REVA – produced by the REVA Electric Car Company Private Ltd. The latest iteration of the car is the REVAi model which was initially intended to be exclusive to the Indian market but is now distributed in UK, Greece, Cyprus, Norway, Iceland, Spain and Germany. While every type of electric vehicle shares similar basic components – electric motors, generators, inverters, and chargers, – it’s the lithium-ion (Li-ion) battery packs that represent 50% to 80% of drivetrain costs for PHEVs and EVs and distinguish them from standard HEVs, which use nickel-metal hydride (NiMH) batteries. It has been projected that the costs of the Li-ion cells that make up these automotive battery packs will drop from $721/kWh in 2010 to between $405/kWh and $450/kWh by 2020. The overall market for energy storage technologies that power electric vehicles is set to grow from $13 billion in 2011 to $30 billion in 2016, a compound annual growth rate (CAGR) of 18%. But, while prominent plug-in hybrid electric vehicles (PHEVs) like the Chevy Volt and Nissan Leaf grab most of the headlines, a recently released report finds that electrical storage for e-bikes and micro-hybrids will command the largest market share in terms of both GWh and dollars in 2016. Replacement batteries for the currently deployed base – largely in China – plus strong growth in new sales will drive growth from 84.2 GWh and $12.0 billion in 2011, to 156.6 GWh and $24.3 billion in 2016, a CAGR of 13% in kWh and 15% in dollars. Micro-hybrids apply energy storage only toward start-stop and/or regenerative braking applications, and require neither the drastic redesigns nor the more expensive battery costs that all-electric or hybrid electric vehicles (HEVs) do. Thus, they represent a shorter path to reduced emissions than hybrid electric vehicles (HEVs) or PHEVs, and will drive market growth from 5.1 GWh and $495 million in 2011, to 41 GWh and $3.1 billion in 2016 – CAGRs of 52% and 44%, respectively. Meanwhile, EVs, HEVs, PHEVs will see steady if not explosive growth. But their hefty battery packs will command a meaningful share of the markets for storage in GWh and particularly in dollar sales (the latter due to the higher cost of NiMH and Li-ion batteries. Sales will reach a cumulative 5.7 GWh in 2016, up 27% annually from 1.7 GWh in 2011, and revenues will expand 25% annually from $710 million in 2011 to hit $2.1 billion in 2016. The Indian market for electric vehicles is still nascent. 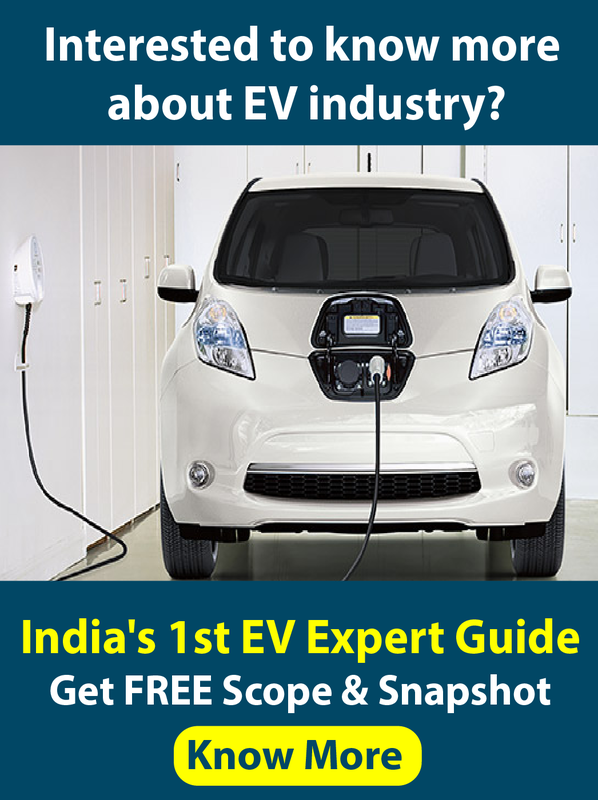 It has been projected that electric vehicles could account for close to 5% of the Indian car market, or 175,000 cars, by 2017, while the global market for the vehicles could reach about 20 million cars by 2020. Market penetration of EV would largely depend on the price of oil as this has been cited as the significant reason for users to make the switch to EVs. In this context, the following are the likely scenarios envisioned for the various types of EVs globally. If oil prices hold steady at around $70/bbl, HEVs are the only winners, while at an intermediate price of $140/bbl, light PHEVs will achieve 2020 sales on par with HEV sales today.